Ronen's Opening Survey: The Sicilian Nimzovitch. B29: Sicilian: Nimzovich-Rubinstein; Rubinstein counter-gambit. The Sicilian Nimzovich - 1. e4 c5 2. Nf3 Nf6 - is a rare and surprising line in the endless ocean of Sicilian lines. It is not played by the very top players almost at all, yet we can see some strong GMs playing that: Hikaru Nakamura and German top player Arkadij Naiditsch for example, and several other strong GMs. Black main plan is to attack white central pawn immediately, in something that resembles the Alekhine defense. 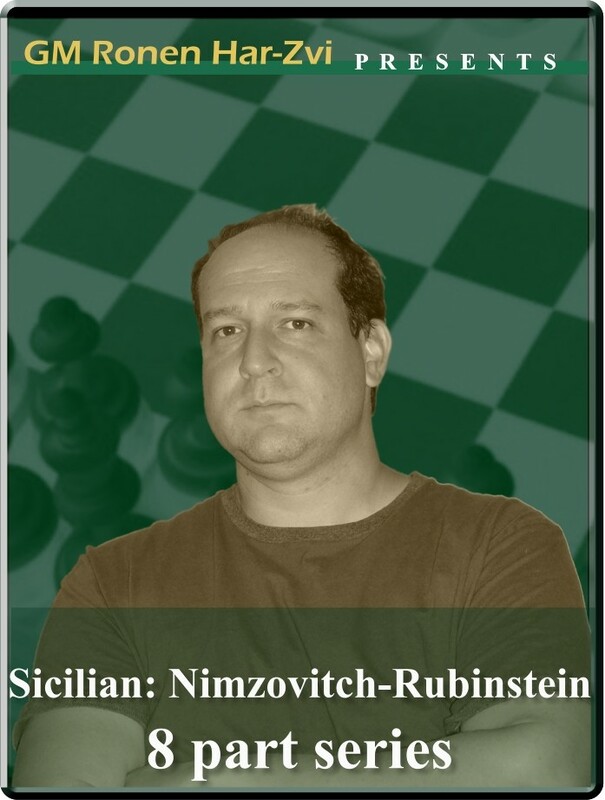 The Sicilian Nimzovich is a surprising and dangerous weapon for almost any level. GM Ronen Har-Zvi, with his usual precise and detailed analysis, and with numerous examples of games, guides us through the pros and cons of this unusual variant of the ever-green Sicilian defense. Ronen's Opening Survey: The Sicilian Nimzovitch. B29: Sicilian: Nimzovich-Rubinstein; Rubinstein counter-gambit. The Sicilian Nimzovich - 1. e4 c5 2. Nf3 Nf6 - is a rare and surprising line in the endless ocean of Sicilian lines. It is not played by the very top players almost at all, yet we can see some strong GMs playing that: Hikaru Nakamura and German top player Arkadij Naiditsch for example, and several other strong GMs. Black main plan is to attack white central pawn immediately, in something that resembles the Alekhine defense. The Sicilian Nimzovich is a surprising and dangerous weapon for almost any level. GM Ronen Har-Zvi, with his usual precise and detailed analysis, and with numerous examples of games, guides us through the pros and cons of this unusual variant of the ever-green Sicilian defense.